Remember that daring, failed rescue attempt in Fortnite from last week? Well Epic has added a tribute to it to the game, as well as a way to prevent other battle royale-ers from meeting the same fate. Last Tuesday, the streamer Muselk noticed something weird in his game of Fortnite. There was a player trapped at the edge of the map who couldn’t build their way back up, as they were outside the area where you can build things. He attempted to to drive a golf cart down there so that the other player could jump on its roof, but sadly they knocked into the player instead, pushing them outside of the map’s boundary and killing them. 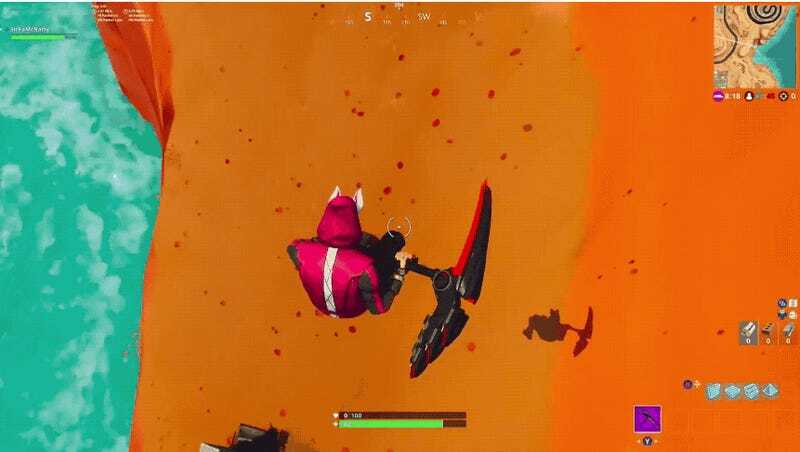 Chappadoodle, the player being rescued, later said that they were trying to prevent Muselk from bouncing off the map by getting in the way of the cart. We salute your sacrifice, comrade. A week later, Epic has added two easter eggs at the site of the rescue attempt. 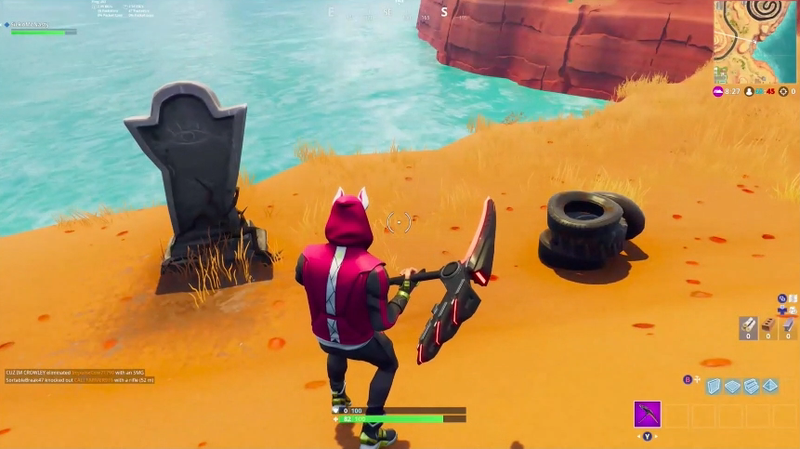 There’s a grave there now, as well as some tires to bounce on, as seen in this video from Reddit user StoreBrandEnigma. Go ahead and visit Chappadoodle’s grave. At least you won’t have to wait around to be rescued if you do.